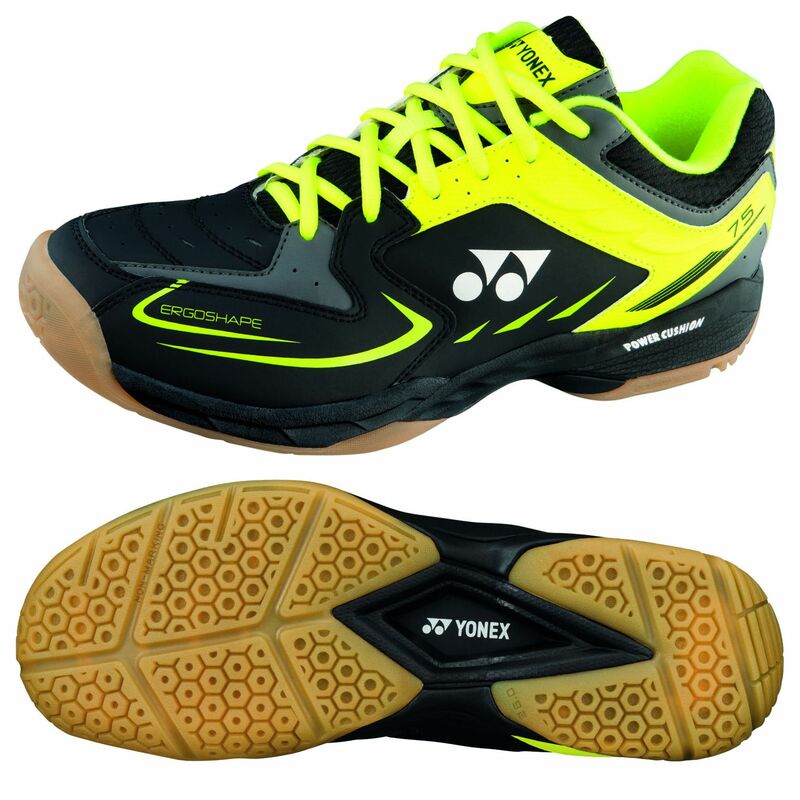 The Yonex SHB 75EX are men’s indoor badminton shoes with a low-cut design, and they ensure a soft and comfortable fit. The trainers promote more efficient and smooth movement thanks to the Power Cushion which absorbs three times more shocks and then uses this energy to push you forwards. The Round Sole enhances the speed and smoothness of your footwork on court and the Ergoshape design offers wearers additional stability and comfort at the forefoot and toe area. The shoes have an indoor court profile and a comfortable EVA midsole, and the non-marking Hexagrip rubber outsole delivers 3% more grip whilst being 20% lighter than normal sole materials. Purchased the SHB75EX's to replace another ageing pair of Yonex badminton shoes. They're very comfortable to wear, providing great foot support/cushioning and good grip on court. The shoes are well made and very durable, proving more than adequate for their intended purpose. They're probably worth their RRP but it's always worth shopping around to get a good deal from a reputable supplier. for submitting product review about Yonex SHB 75EX Mens Badminton Shoes.